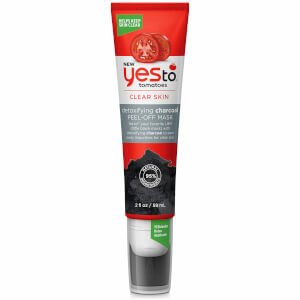 Achieve radiant skin with the Yes To Grapefruit Even Skin Tone Moisturiser. Ideal for daily use, the moisturising formula is designed to reduce the appearance of dark spots and uneven skin tone by visibly brightening the skin. Fortified with vitamin rich Grapefruit, the moisturising cream is able to replenish essential fatty acids, delivering a luminous and youthful appearance to skin. 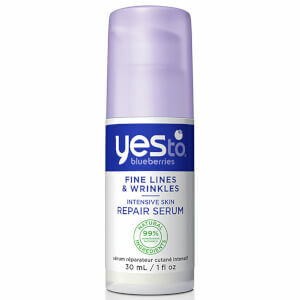 Ideal for lacklustre complexions, the formula will leave skin touchably soft with improved skin tone. 15 Minuten vor dem Sonnenbaden großzügig auftragen. Verwende einen wasserfesten Sonnenschutz, wenn du schwimmen gehst oder schwitzt. Mindestens alle 2 Stunden erneut auftragen. Aqua, Ethylhexyl Palmitate, Glycerin, Zinc Oxide, Helianthus Annuus Seed Oil, Caprylic/Capric Triglyceride,(Nano)Titanium Dioxide, Cetearyl Alcohol, Prunus Amygdalus Dulcis Oil, Magnesium Aluminum Silicate, Coco-Glucoside, Aluminum Hydroxide, Xanthan Gum, Moringa Oleifera Seed Oil, Glyceryl Isostearate, Hydrated Silica,Polyhydroxystearic Acid, Triethoxycaprylylsilane, Tocopherol,Citrus Paradisi Fruit Extract, Glycine Soja Oil, Lecithin, Cyamopsis Tetragonoloba Gum*, Citrus Aurantium Amara Fruit Extract, Sodium Ascorbate, Passiflora Incarnata Flower Extract, Citric Acid,Potassium Sorbate, Sodium Benzoate, Parfum, Phenethyl Alcohol, Glyceryl Caprylate, Limonene. *Certified Organic Ingredient.